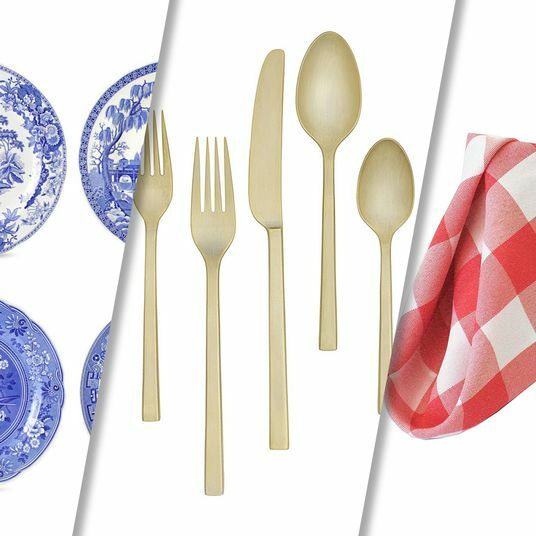 Twitter question: Would love for you guys to do a piece on tableware. 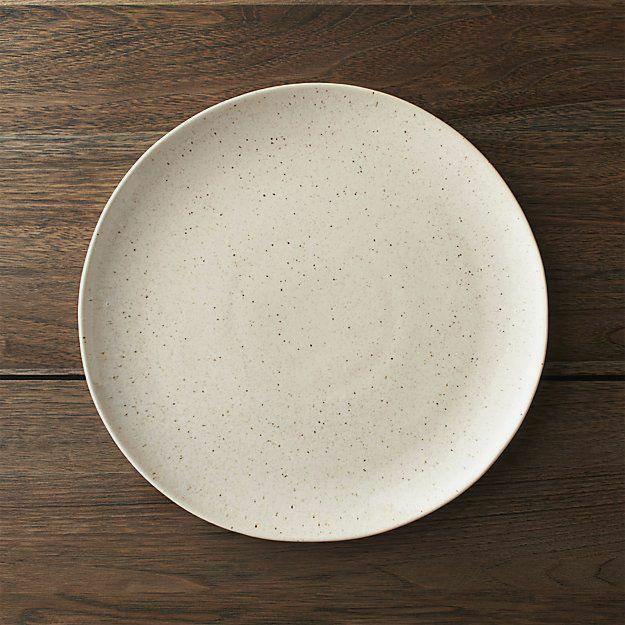 Nice (preferably American-made), basic-but-cool ceramic plates, etc. I found this company Year and Day, but wonder what all else is out there. 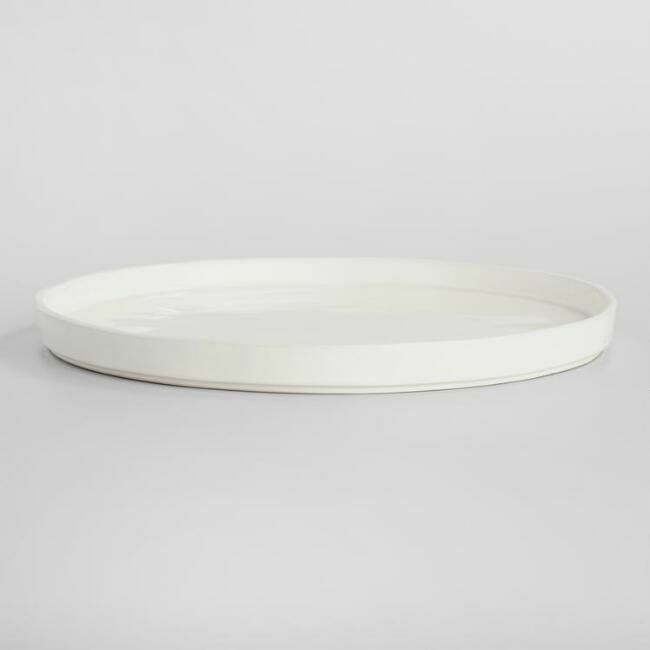 This tableware has uneven, “free-form” edges that slope upward, forming a shallow soup-bowl lip and giving more of a handmade look. 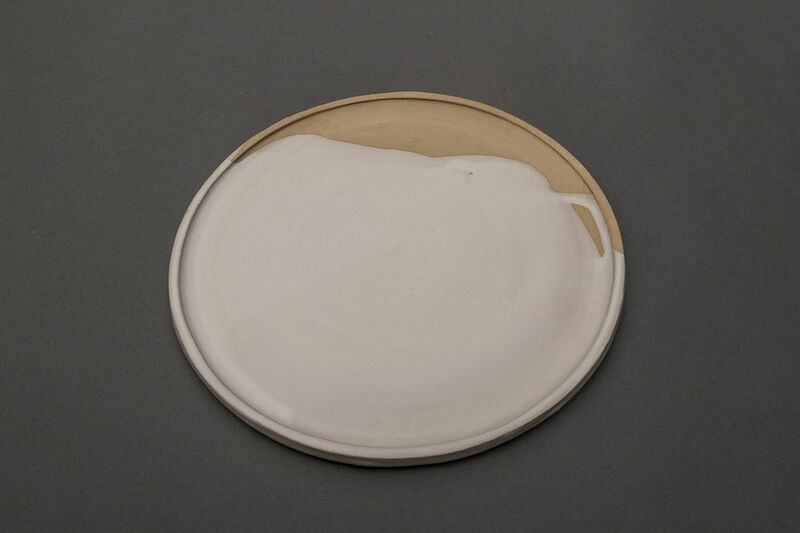 The glazes are often matte or semi-matte, in a rainbow of muted pastels and ivory, rather than stark white, though I’ve seen my fair share of speckled, glossy plates with unglazed, raw clay edges in the mix, along with a few black or navy options. 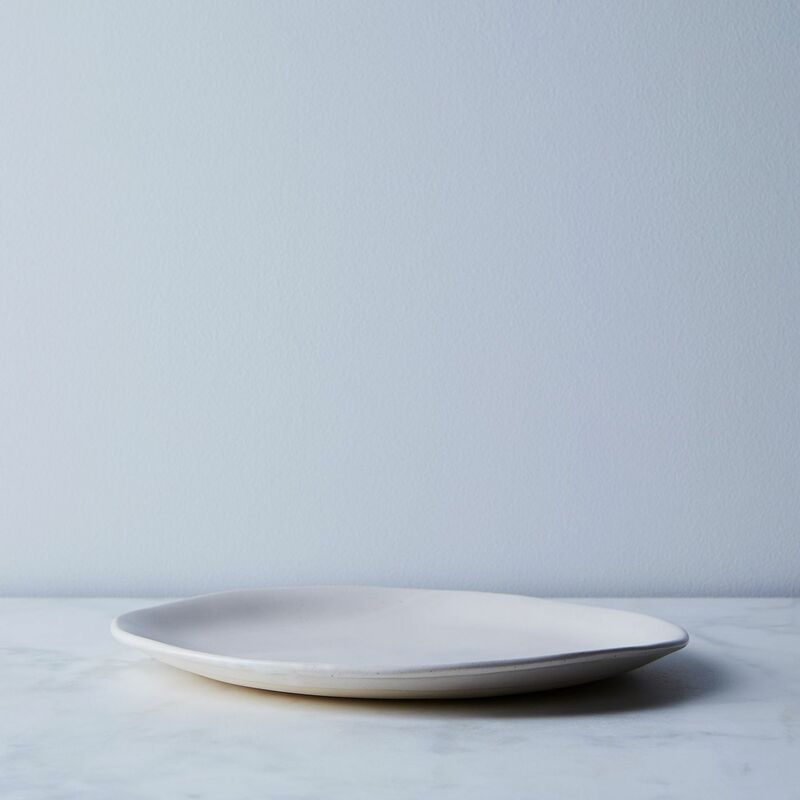 To find some of the best American-made ceramics, I started at ground zero for basic-but-cool tableware: De Maria, which was nominated for a James Beard Award for Best Restaurant Design this year. 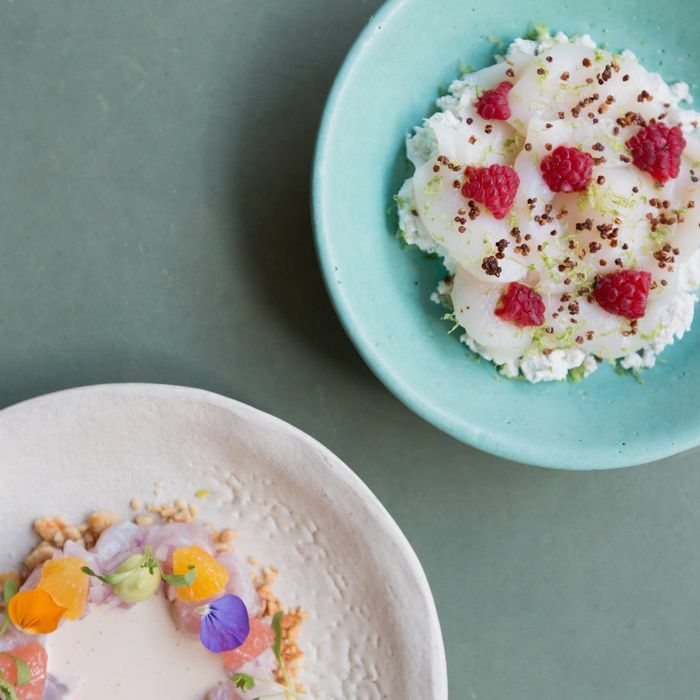 The restaurant’s colorful handmade ceramic tableware — in blush pink, turquoise, and ivory — has become something of its signature. 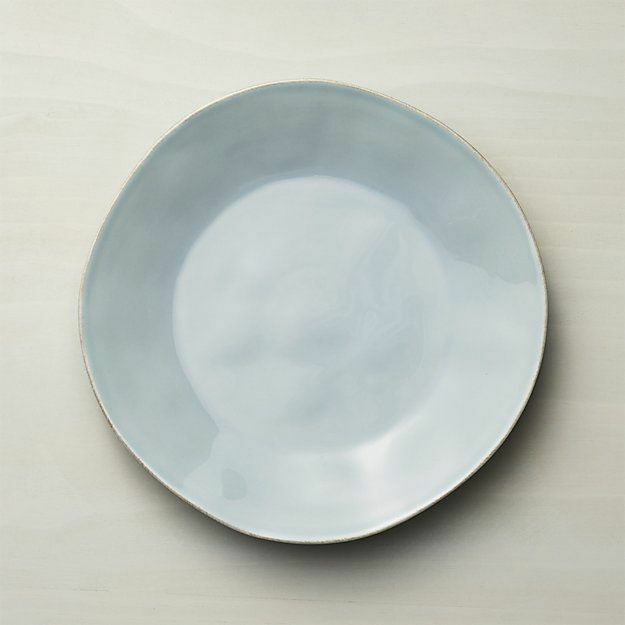 According to the team, the plates are Beau Rush Ceramics, designed and made by Brooklyn artist Cameron Bishop. 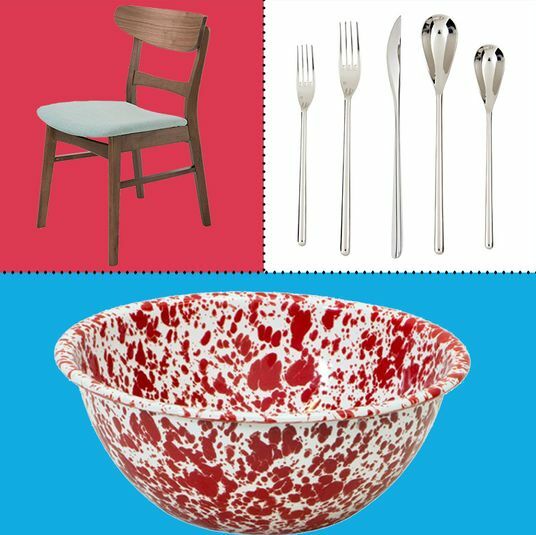 Of all the options on this list, these dishes are the most raw-looking, with pockmarks and uneven edges on full display. But that’s exactly how you know they’re hand-thrown. 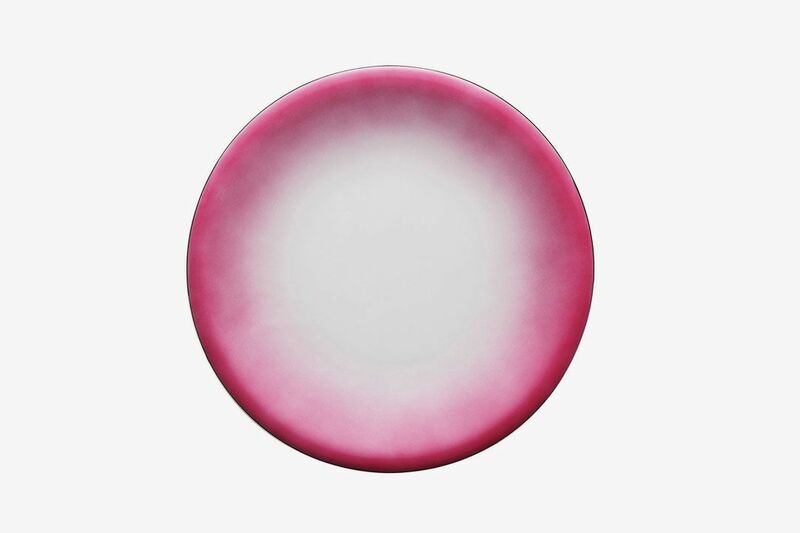 Beau Rush also makes these dinner plates that are dipped in glaze, which means each one will have a slightly different drip pattern over the raw material. A little less basic, but still very cool. 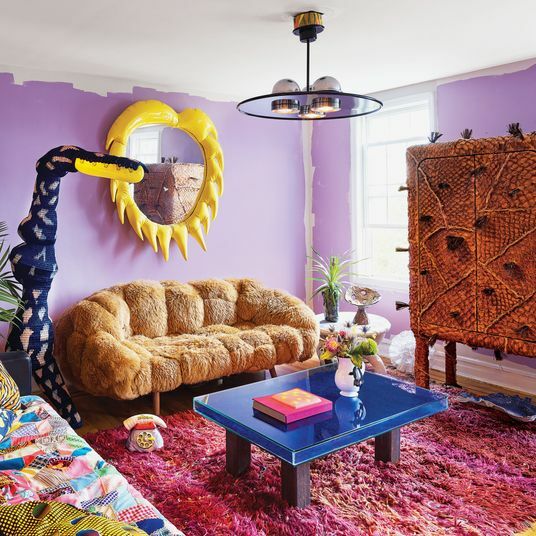 If you’re looking for something more polished, the team at Deer Mountain Inn, located in New York’s Catskill Mountains, tipped me off to Jono Pandolfi, a ceramics designer in Union City, New Jersey. 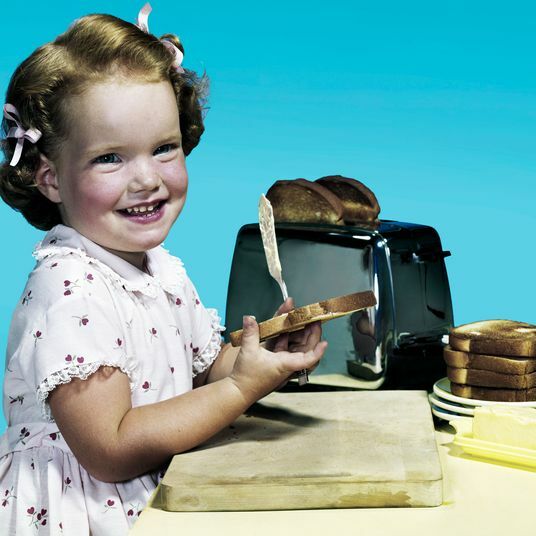 Pandolfi also counts Eleven Madison Park, Gramercy Tavern, and Lilia (whose chef-owner Missy Robbins was just named Best Chef in New York City at this year’s James Beard Awards) among his clients. 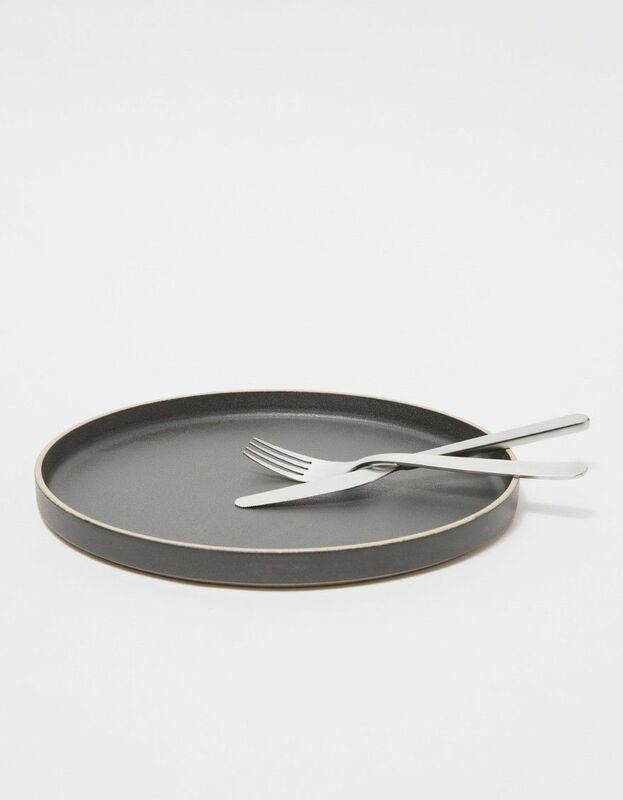 This seven-piece set was initially designed in collaboration with Daniel Humm for the opening of the Nomad Hotel, and though they’re restaurant-grade tableware, they still feel personal enough to use at home. 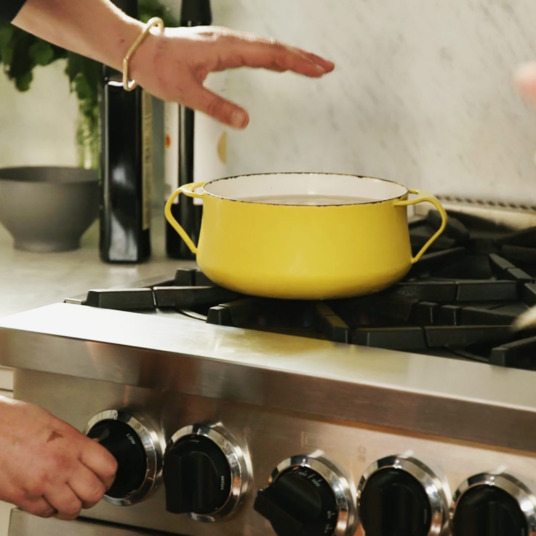 And since each of Pandolfi’s pieces is handmade from clay formulated in the Northeast and fired in their New Jersey studio, it’s certifiably American-made. 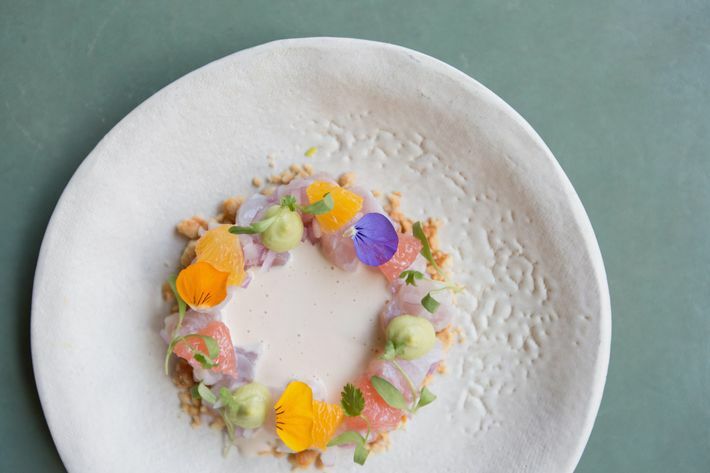 Fans of Dan Barber’s Blue Hill might be unknowingly familiar with ceramist Julie Hadley’s work, which is used at his New York City restaurant. 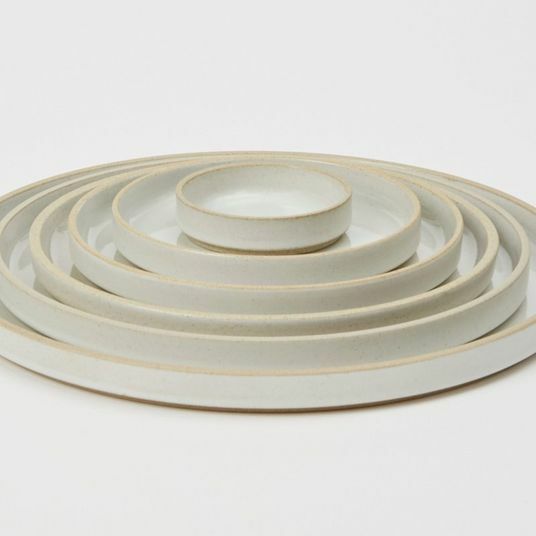 These wobbly, white plates are handmade to order, in her New York City studio. 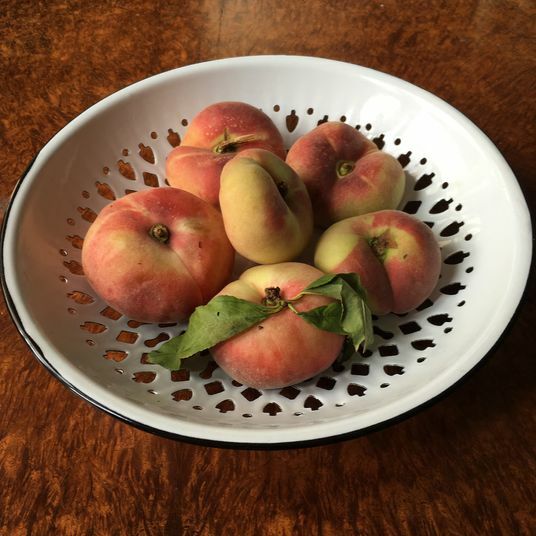 For another handmade American option, Strategist senior editor Margaret Rhodes suggested East Fork Pottery. She’s a fan of their mug, describing it as “kind of extraordinary. 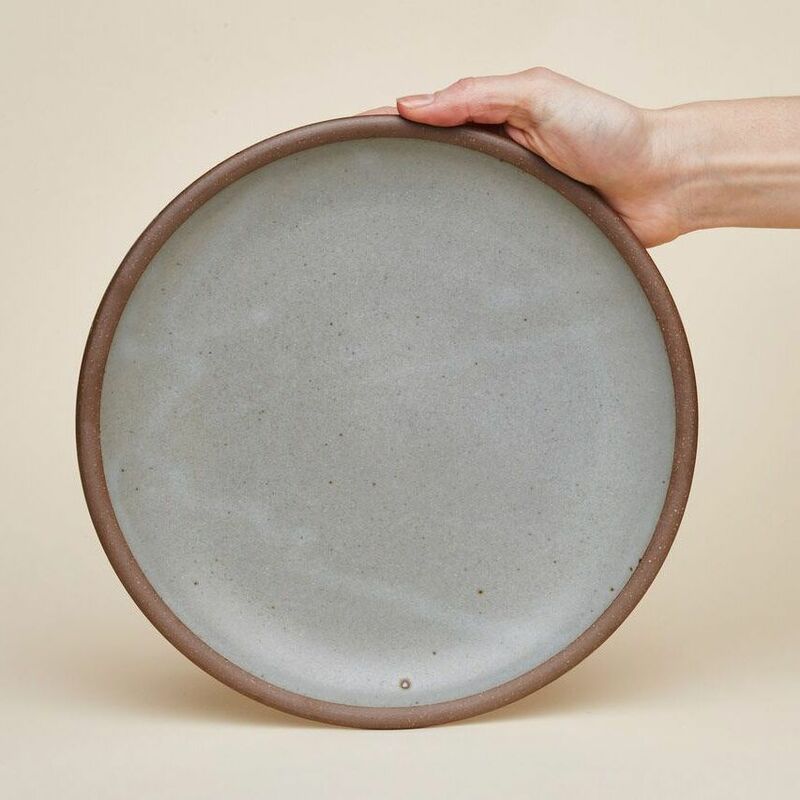 It feels really smooth and sturdy in your hand.” The company is opening a newer, bigger factory soon in Asheville, North Carolina, where the ceramics industry used to have many more makers. 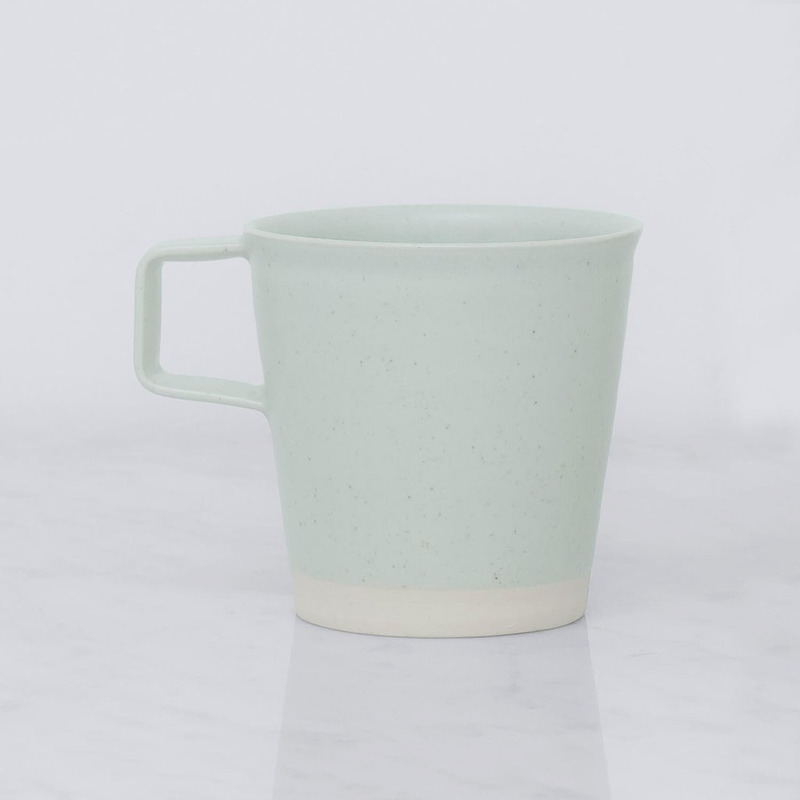 These stoneware plates have a similarly hefty style as the mug, but unlike some of the other plates featured on this list, their colors are a bit dustier. Think burnt rose rather than blush pink. 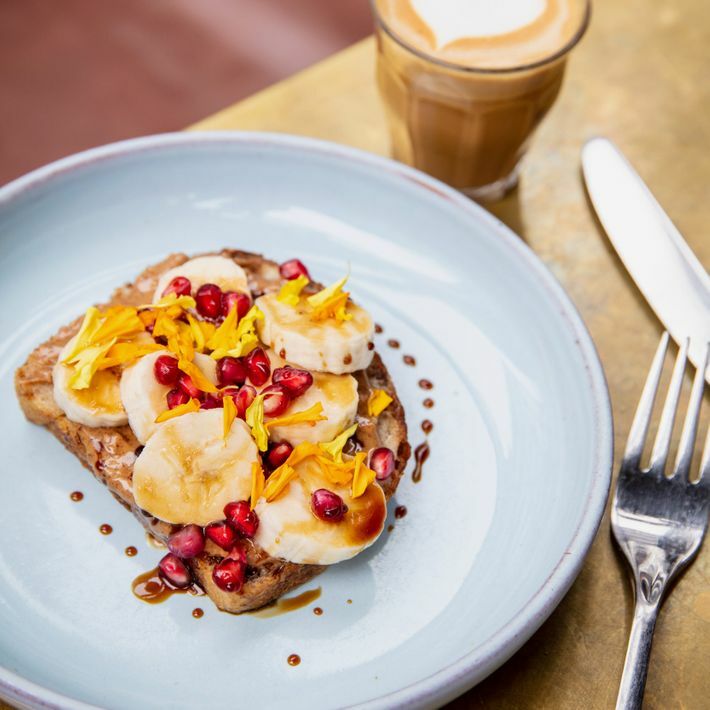 If you prefer Australian-made, Hugo Murray, co-founder of Butler Bake Shop and Espresso Bar in South Williamsburg, Brooklyn, suggests Mud Australia. 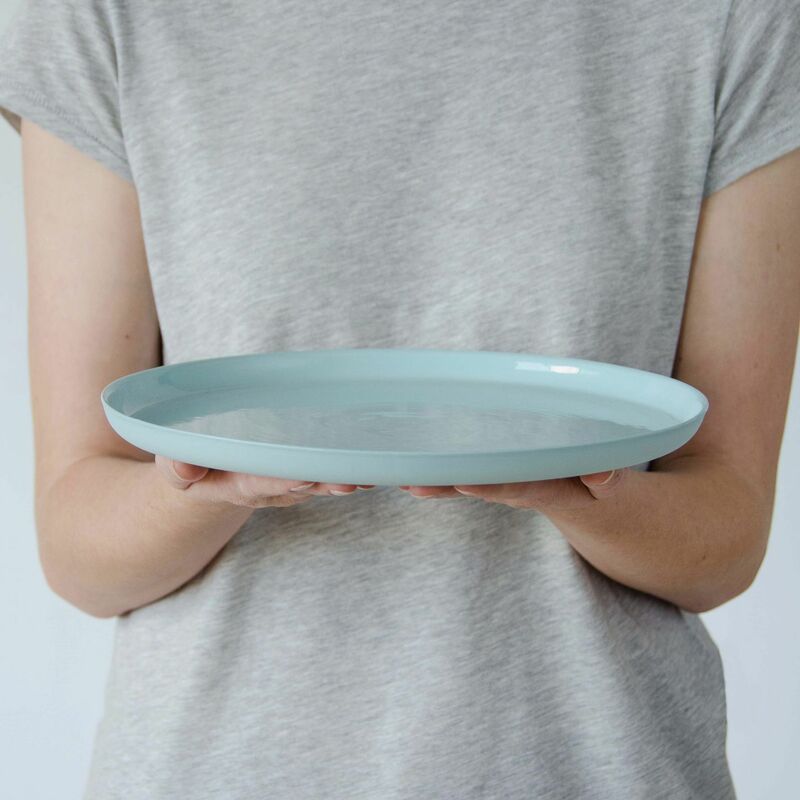 Their simple, stylish dinner plates with a lip around the rim are handmade in Sydney and come in a variety of candy-colored glazes, including light blue, blush pink, pistachio green, and Easter yellow. 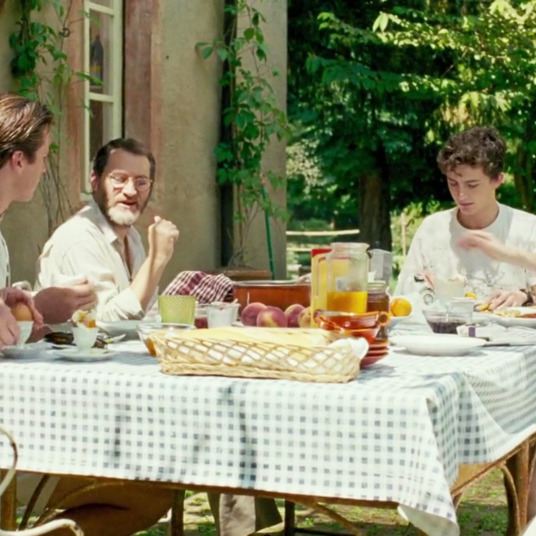 For a moment, Murray even thought of sourcing ceramics for Butler from Mud, but at $58 a plate, plus shipping from the other side of the world, these were ultimately deemed too expensive for everyday use at the all-day café. 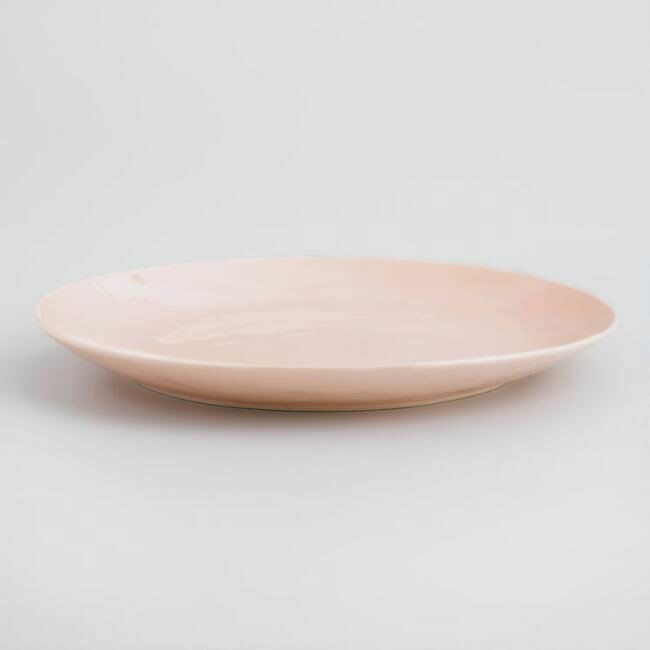 But for a set of ceramic plates to be used at home, where they’ll experience significantly less wear-and-tear, the price for these handmade plates is a bit more justifiable. 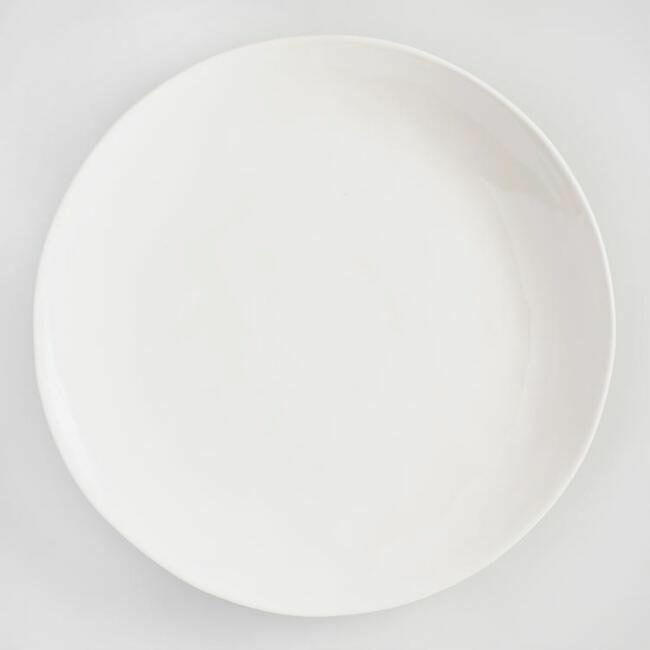 So where do those baby-blue, Instagram-perfect plates that they use at Butler come from? 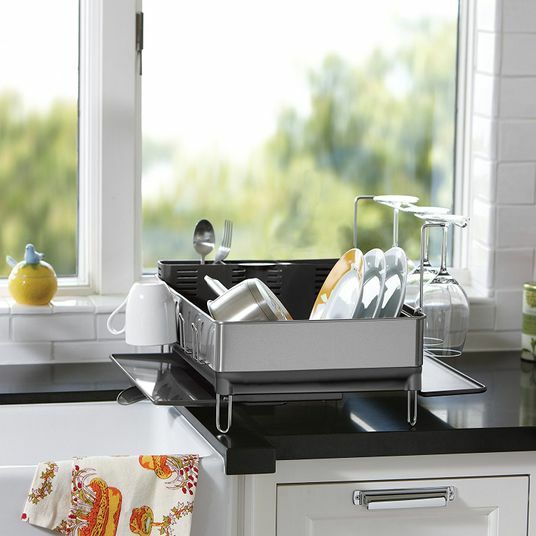 “Well, I’m sure you — like 99 percent of our customers — will be shocked to hear they’re actually made by CB2,” Murray says. 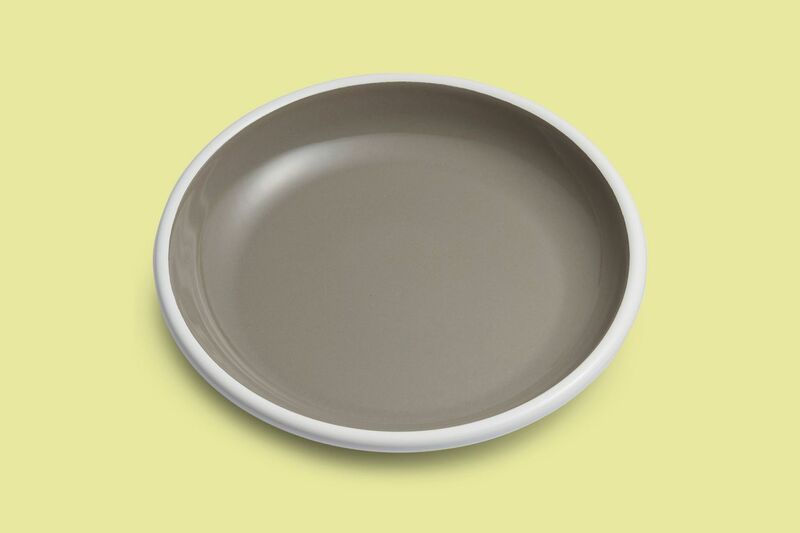 The exact style of ceramic plate doesn’t seem to be available anymore on the CB2 website, but these Marin Blue dinner plates from Crate and Barrel hit a lot of the same style notes as the ones at Butler: sky-blue ceramic with a free-form, raised lip. 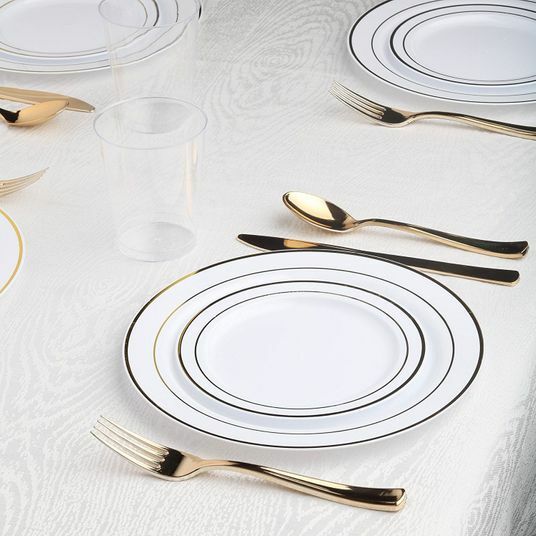 These are made in Portugal, not the United States, but that’s also where the plates from Year and Day, the brand you mentioned in your question, are made. And at just $10 a pop, this is one of the more affordable options. 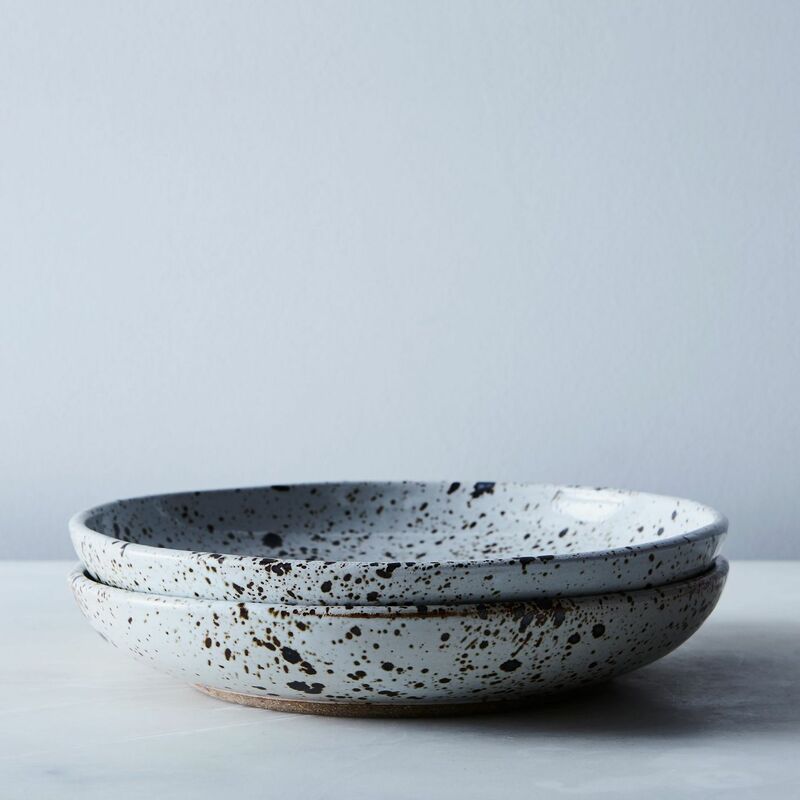 If you want to go full eggshell speckle, this duo from ceramist Sarah Kersten fits the bill. 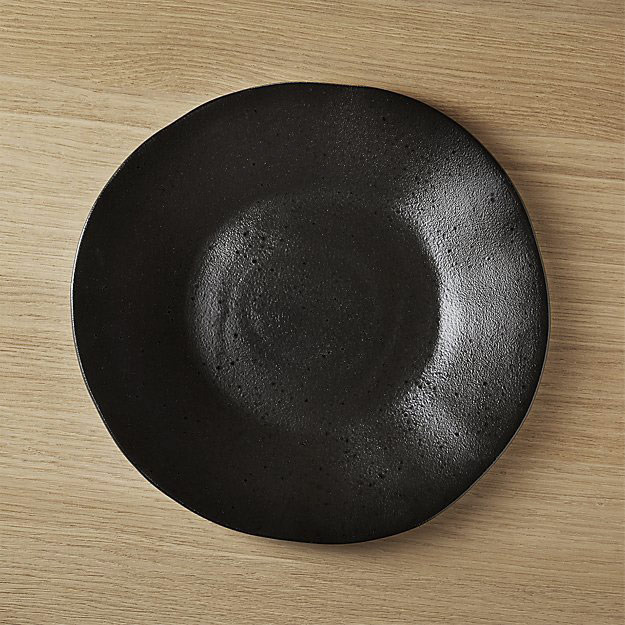 If you’re looking for something in a darker color palette, there are these black, matte stoneware plates with free-form edges from CB2. 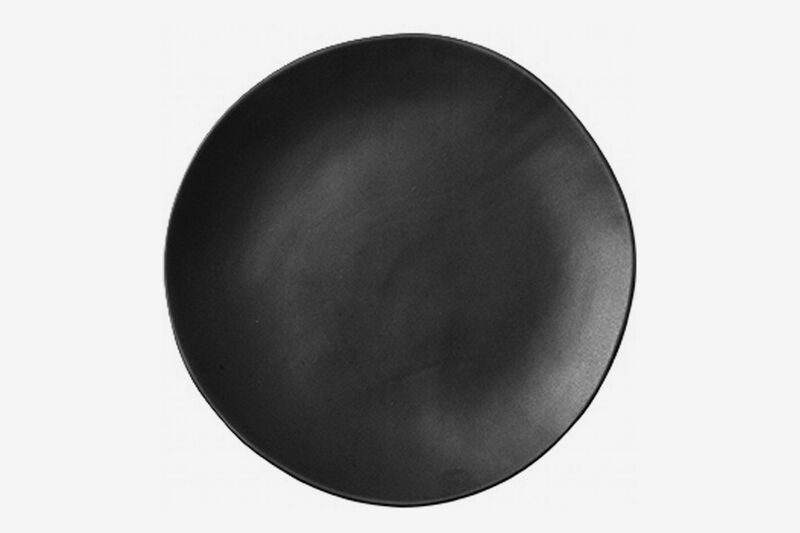 And this stippled, all-black plate that’s got a similar vibe to the super-raw ones from Beau Rush Ceramics. 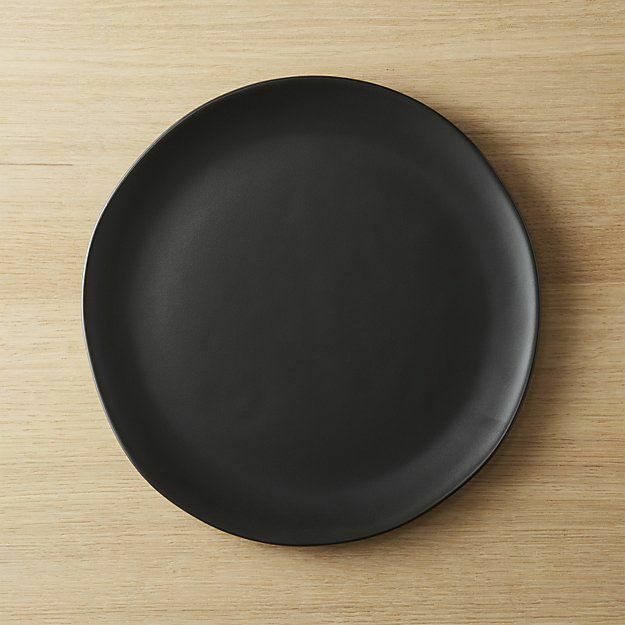 If all-black seems too aggressive, try these matte, porcelain plates from Japanese brand Hasami. They have a raw edge that lets the original color of the clay peek through, which adds just a touch more visual contrast. 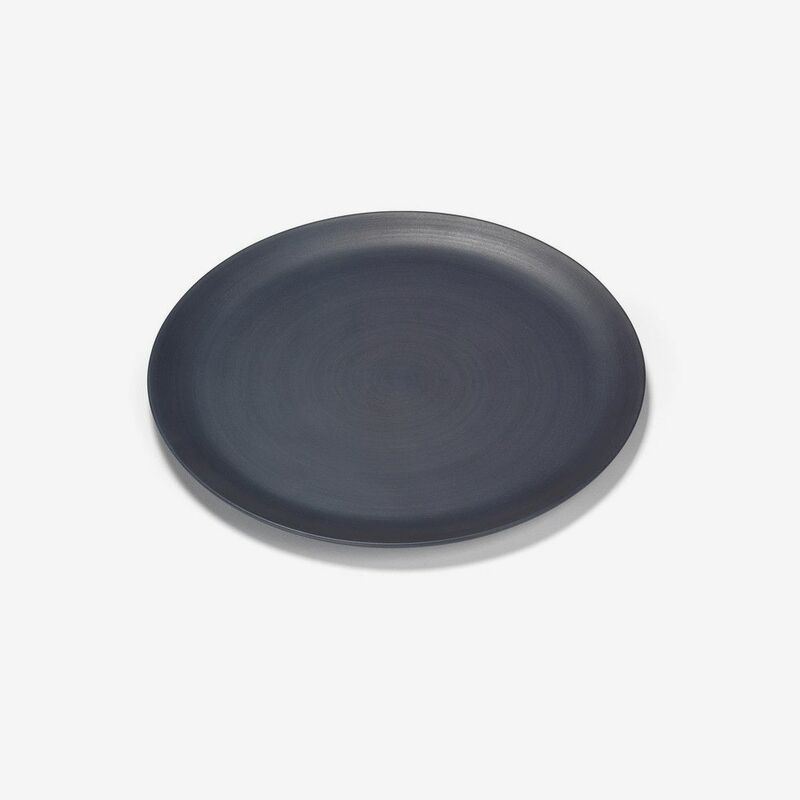 This simple-looking midnight-blue ceramic plate, made in Italy, is somewhere between the totally black plates, but has a bit more edge than the sky-blue ones. Loosie’s Kitchen & Café is another South Williamsburg all-day café that relies on CB2 for their ceramic serveware — specifically, their mugs. This one is a regular in their current rotation. And though this article is mostly about dinner plates, it would be negligent to leave out the ceramic mugs from Halston, which were name-dropped in the Times article. 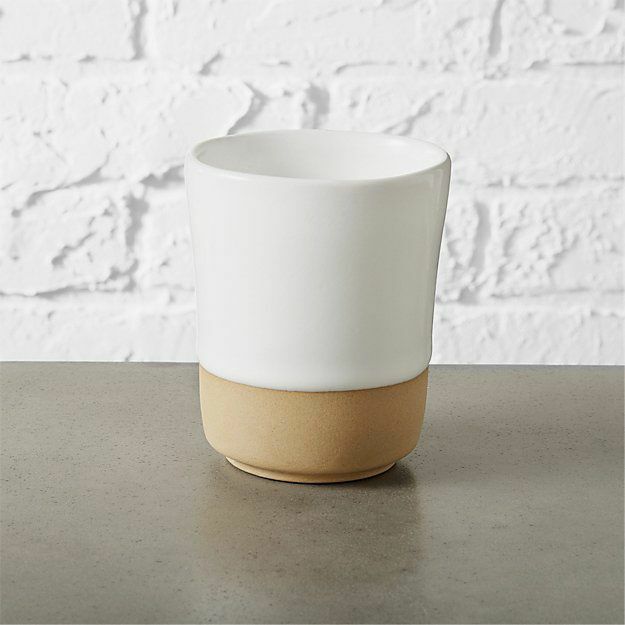 Made in Ireland, these clay coffee cups are hand-thrown with a decidedly angular handle. 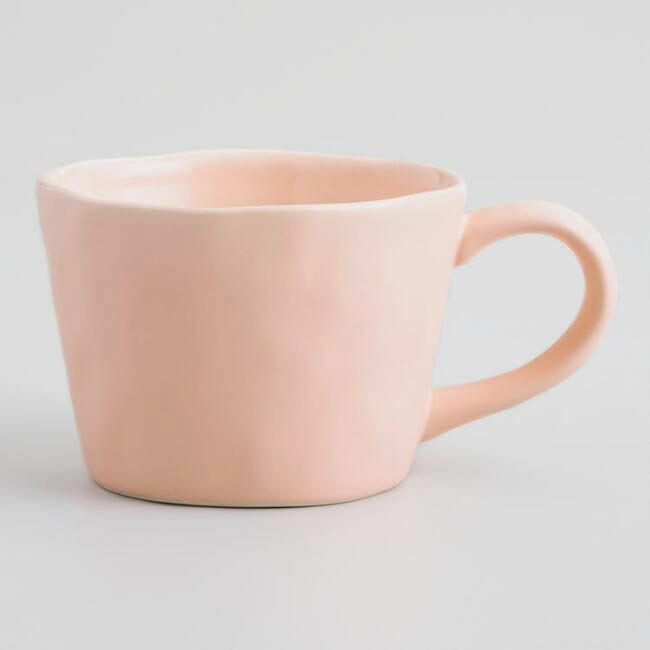 They also pointed me toward this blush-pink mug from World Market (that’s surprisingly similar to the oversize D-handled mugs at De Maria, which are from New York City ceramics company Workaday Handmade). Unfortunately, there’s no readily available information about where these mugs are made, but given the price point, I’m dubious it’s hand-thrown in the United States. 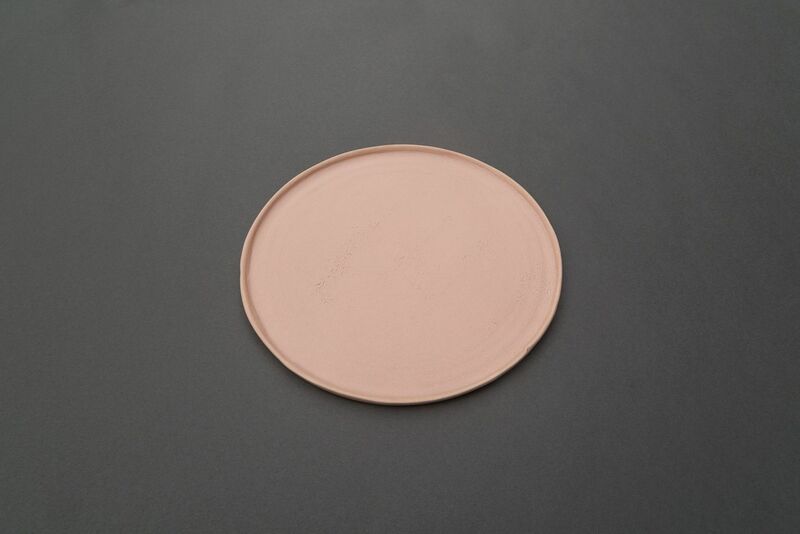 That’s how I found this line of Element dinner plates, in that same pale pink as the mug with a matte finish on the exterior, a glossy finish on the interior, and an organic-feeling rim. 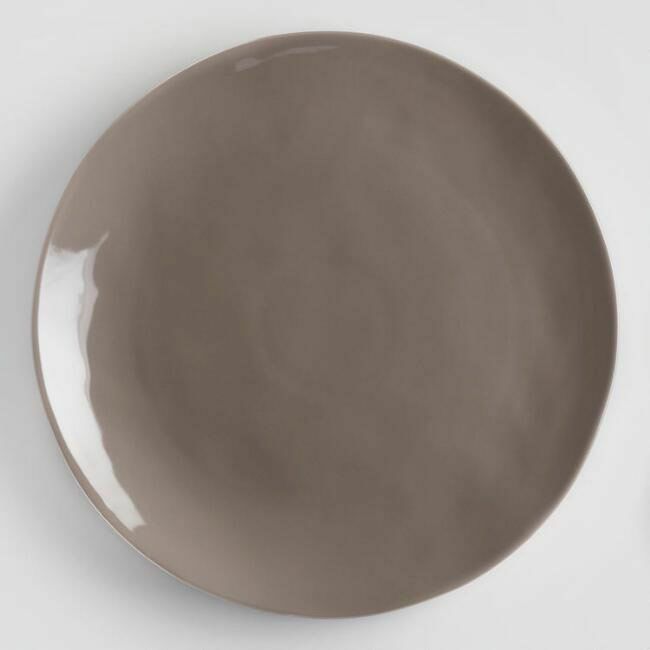 These matte, rimmed plates, also from World Market, are similar in style to the dinner plates from Australia’s Mud, with the raised rim — but you can get six of these for the price of one of those. 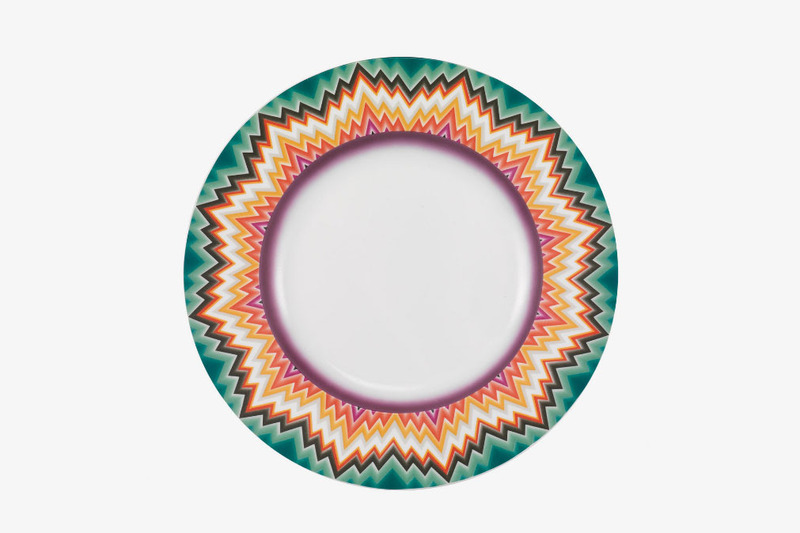 Another unlikely place for basic-but-actually-cool dinner plates is Ikea. 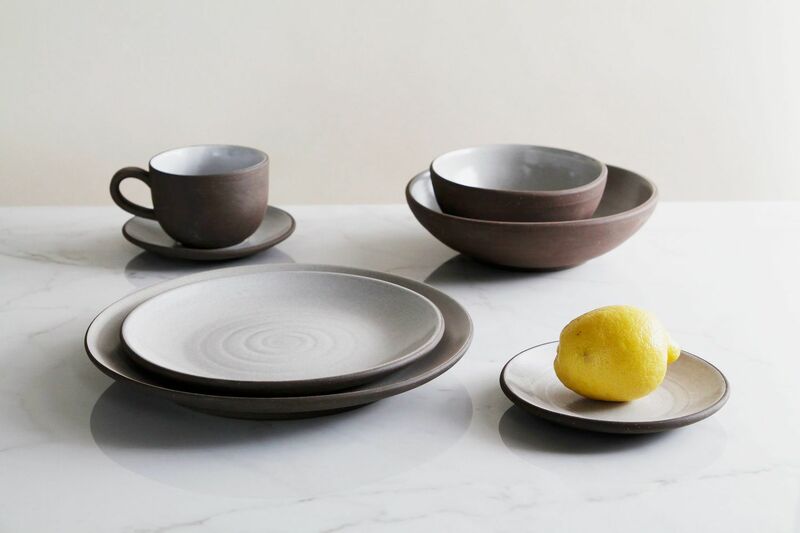 Their Dinera line has popped up as an even cheaper dupe for a lot of these stoneware tableware sets, with a matte glaze and a simple shape. The pink ones are even available for sale and delivery online, which is unusual for Ikea. 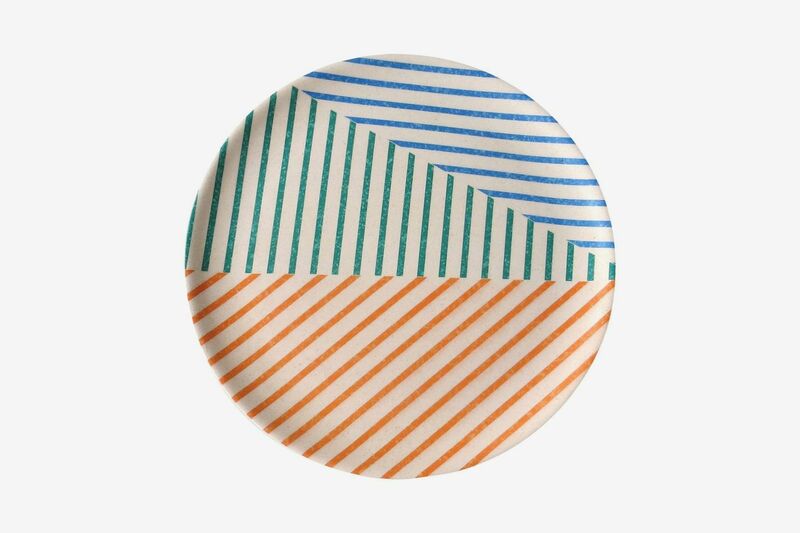 It’s unclear exactly where this set is made, but a basic-but-cool ceramic plate is a basic-but-cool ceramic plate, no matter where it’s from. 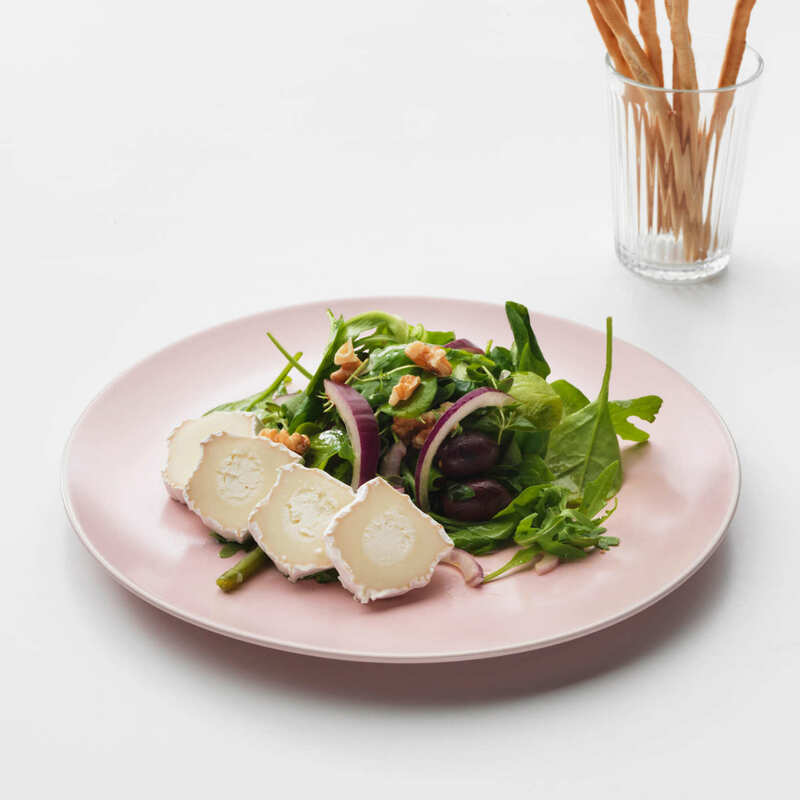 Editor’s Note: The Dinera Plate in Light Pink is currently only available in a 18-pc set here.